It's now been almost 5 years since speed cameras were first authorized to go statewide in Maryland, and have been in DC for some time. Because of this, it is easy for some Maryland residents to forget that most Americans have lived most of their lives where there are no speed cameras, and that in fact most of America still does not use them. 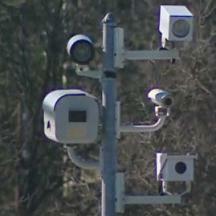 Two other states (Alabama and New York) permit speed cameras in only one city. Most other states use them in only a very limited number of cities and towns, and only in specific areas. In fact among the municipalities and counties which use speed cameras in the US, over 30% of them are located in Maryland, despite the fact that Maryland has less than 2% of the nation's population. So the situation we have in Maryland, where the state endorses the paranoid position that people can only be "safe" if drivers are monitored at all times by a system of for-profit automated enforcement devices -- a system with no real due process and an extremely reduced burden of proof against the accused -- is in fact not "normal" at all. Nationwide, it is the exception.